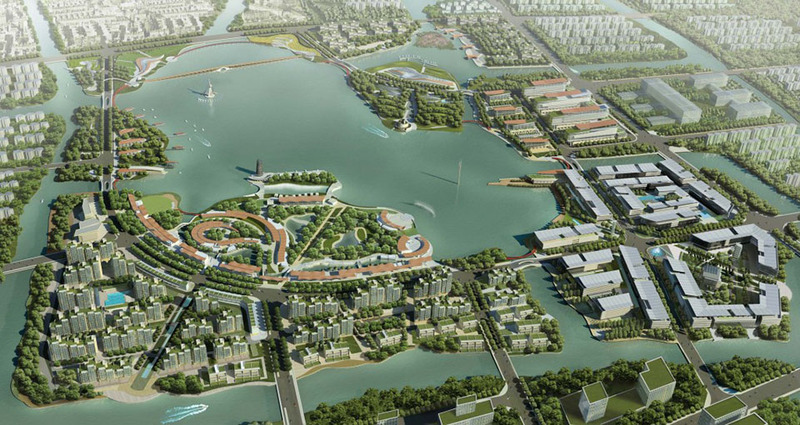 CRJA-IBI Group received an award in the Big Urban projects category of the 2014 MIPIM Architectural Review Future Project Awards for their work on the PaoJiang Lake Master Plan. CRJA-IBI Group worked in partnership with Paul Lukez Architecture to develop a master plan for a new city in the Shaoxing district of China. 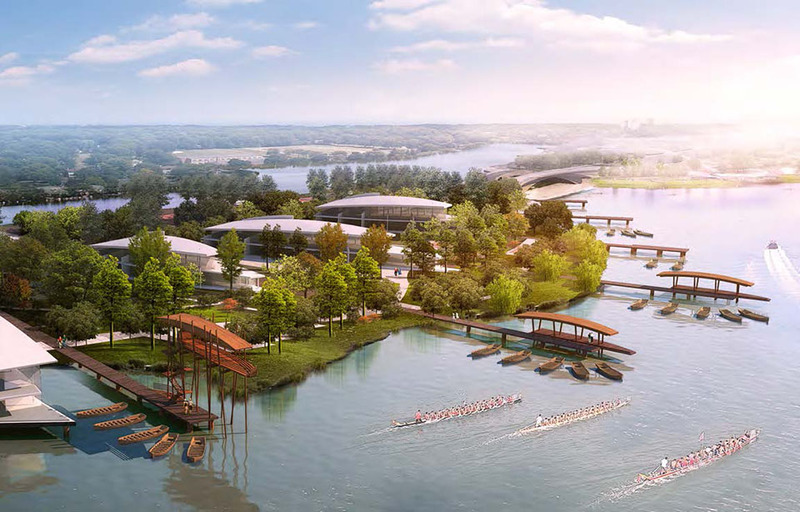 The goal was to develop the Yang Jing Bang Lake area into an amenity rich, multi-use environment. The design concept was based around five prominent elements in Chinese culture; Wood, Earth, Water, Fire, and Gold. These five areas are linked together along the lake by smaller parks and open spaces to create a jeweled necklace. CRJA-IBI Group’s role was to develop the overall landscape master plan and to help enhance each of the five individual areas.